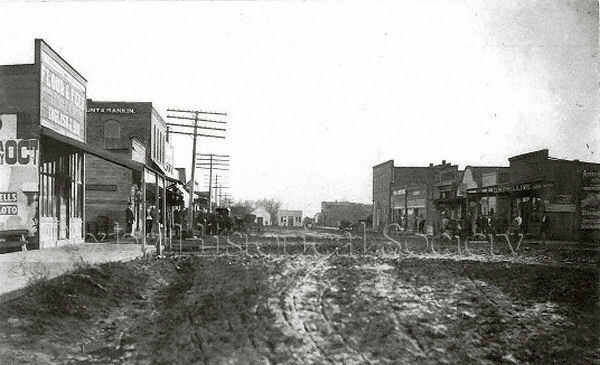 In the summer of 1906, the businessmen in Bixby partitioned the district court in Muskogee to incorporate the town. On December 1 at 6:15 p.m., 1906, Judge W. R. Lawrence signed incorporation papers for the independent town of Bixby, Indian Territory. The first city election was held in February, 1907. There were two full slates of candidates and sixty-some voters, all male. Fred Farr was elected mayor. Willoughby Swingle appeared on the both party ballots since he was so popular with both parties. After incorporation, financial help from the Creek Nation ceased. It soon became apparent that it was expensive to run a town. There was a school to run. People wanted wooden walk-ways and graded streets. There were many needs and no funding. A petition was sent to the district court in Muskogee requesting that the incorporation be voided. The court ruled that the incorporation would stand since statehood was only a month away. In November, 1907, Oklahoma became the 46th state. On July 4, 1908, a star for Oklahoma was added to the national flag. Eventually, the town gained finances.